Winning two Stanley Cups in three seasons has its rewards. 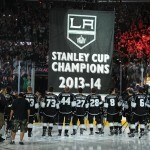 Well, that plus owning and operating a lucrative arena in downtown Los Angeles has Forbes.com ranking the Kings as the eighth-most valuable team in the NHL.The Kings’ estimated value of $580 million ranked well behind the Toronto Maple Leafs ($1.3 billion), the New York Rangers ($1.1 billion) and the Montreal Canadiens ($1 billion), the first time three NHL teams have been valued at more than $1 billion. The Kings were just behind the Philadelphia Flyers ($625 million) and just ahead of the Detroit Red Wings ($570 million). The San Jose Sharks ($425 million) and the Ducks ($365 million) ranked 14th and 18th, giving California three teams in the top 20. The Florida Panthers were 30th and last with a value of $190 million. The Kings’ overall value grew by 29 percent from 2013, according to Forbes. Kings coach Darryl Sutter continues to overplay defenseman Drew Doughty, who was on the ice for a career-high 33 minutes, 7 seconds Saturday. Injuries and the indefinite suspension of Slava Voynov have left the Kings shorthanded on the blue line. Sutter would prefer to play Doughty less and has acknowledged the harm in overworking him. The Kings received salary-cap relief from the NHL last week in the Voynov case, but haven’t exercised their flexibility to recall anyone from Manchester (N.H.) of the AHL. Alec Martinez has been skating, but it’s uncertain when he’ll be sound enough to play after he underwent finger surgery. The Kings issued some remarkably nice comments about former coach Pat Quinn, who died Sunday at 71. There’s no faulting their intentions, but Luc Robitaille, Jim Fox and Bob Miller had nothing but kind words for Quinn. It’s important to note that Quinn bailed on the Kings while coaching the team to sign a deal to become the Vancouver Canucks’ team president and general manager. The NHL suspended him from coaching the Kings or working for the Canucks for three years starting in 1987. It did little, in the end, to harm Quinn’s mighty reputation, but it was another black eye for the Kings. So it was more than a little surprising to read all the nice things about Quinn in prepared statements from Robitaille, Fox and Miller. Player Slava Voynov will be continued indefinitely. What it means is the Kings are now free to make roster moves they couldn’t make because they were right up against the salary cap. They can recall players from the minor leagues, in other words, without going over the cap. Adding players and their salary is no longer an issue. Further information is set to be announced Dec. 1. Tanner Pearson chipped the icicles off his hockey stick Thursday at Staples Center. The rookie left wing ended an 11-game goal-scoring drought with a deft swat of the puck that propelled the Kings to a grinding 3-2 victory over the Carolina Hurricanes. So great was Pearson’s slump that he went from playing on the Kings’ most effective line, to sitting on the bench and watching for extended stretches, to nearly sitting in the press box and eating popcorn by the fistful as his teammates faced the Hurricanes. It’s often that way with gifted young players, with their production ebbing and flowing. Kings coach Darryl Sutter hinted that a night in the rafters might not be such a bad thing, although he didn’t mention the 22-year-old Pearson by name. Sutter didn’t pull the trigger Thursday, but Pearson did. Pearson’s goal gave the Kings a 3-2 lead only minutes into the second period and they held it the rest of the way against the Hurricanes. The Kings’ victory was their third in a row after a two-game losing streak. First, Pearson’s slumps will be fewer and farer (is that a word?) between as he matures and gains experience. He was doing all the right things of late, but the puck wasn’t going into the net for him. He solved it by charging to the net and smacking a loose puck into it. Smart play by a gifted player who realizes that not all the goals are going to be masterpieces.Gritty goals count just as much as pretty ones. Second, Kings defenseman Drew Doughty played 25:10 against Carolina, ending his streak of 30-minute games at four in a row. Injuries and the suspension to Slava Voynov have wreaked havoc with Sutter’s defense pairs and Doughty has been overplayed to the extreme at times. Sutter has acknowledged the disservice it’s done to Doughty and to the Kings. But what else can he do? Voynov won’t be back any time soon after the Los Angeles County District Attorney’s Office announced Thursday it would charge Voynov in a domestic violence case. Alec Martinez is expected back within a week or so after undergoing minor surgery on a finger. 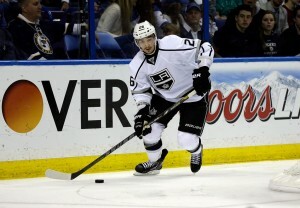 But the numbers are thin for Sutter, so expect Doughty to keep playing big minutes. 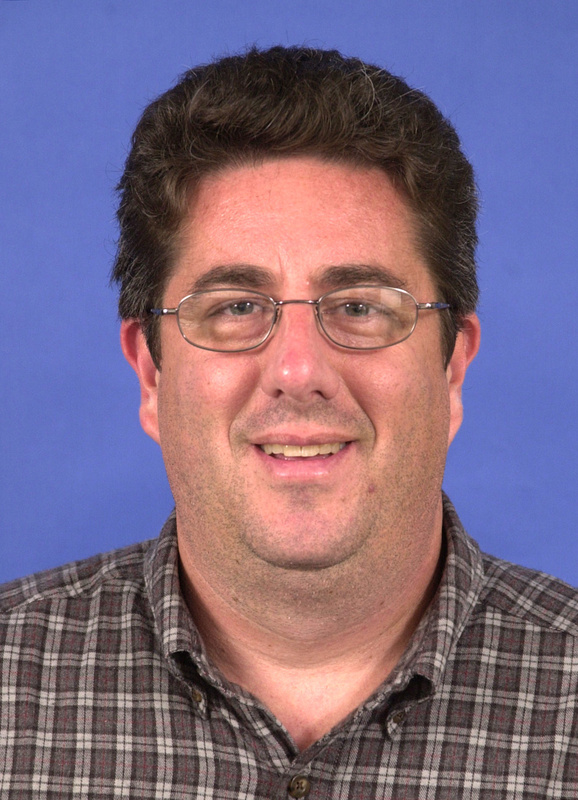 Third, the Kings’ power play, once a hindrance, is now a help. The Kings went 1 for 3 with the man advantage against the Hurricanes, which came one game after they clicked on 3 of 6 chances Tuesday against the Florida Panthers and two games after they were 2 of 3 on Saturday against the Ducks. The Kings went through a 1-for-27 slump over nine games and it appeared their power play was a lost cause. But that’s no longer the case if recent games are an indication. That’s a very big deal for a team that often struggles to score while skating 5 on 5. The NHL suspended Voynov indefinitely only hours after his arrest on domestic violence charges Oct. 20. 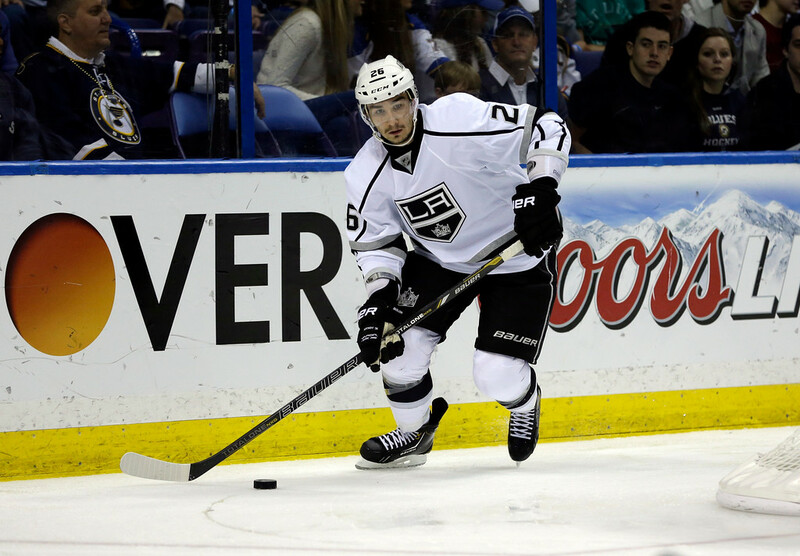 Kings defenseman Slava Voynov will be charged by the L.A. County District Attorney. Check out it out here: https://allstarvote.nhl.com/?cmpid=partner-nhl-fant-asfv-vanity All of your favorite Kings are on the ballot, including goalie Jonathan Quick, forward Jeff Carter and defenseman Drew Doughty.